Our new Di Simo Collection features versatility and elegance which meets all your display needs. 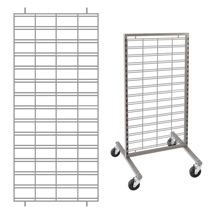 Several styles of displays are available to create an entire store or just highlight a section. The included frosted panel can even be swapped out for this slatgird panel further stretching the design possibilities. 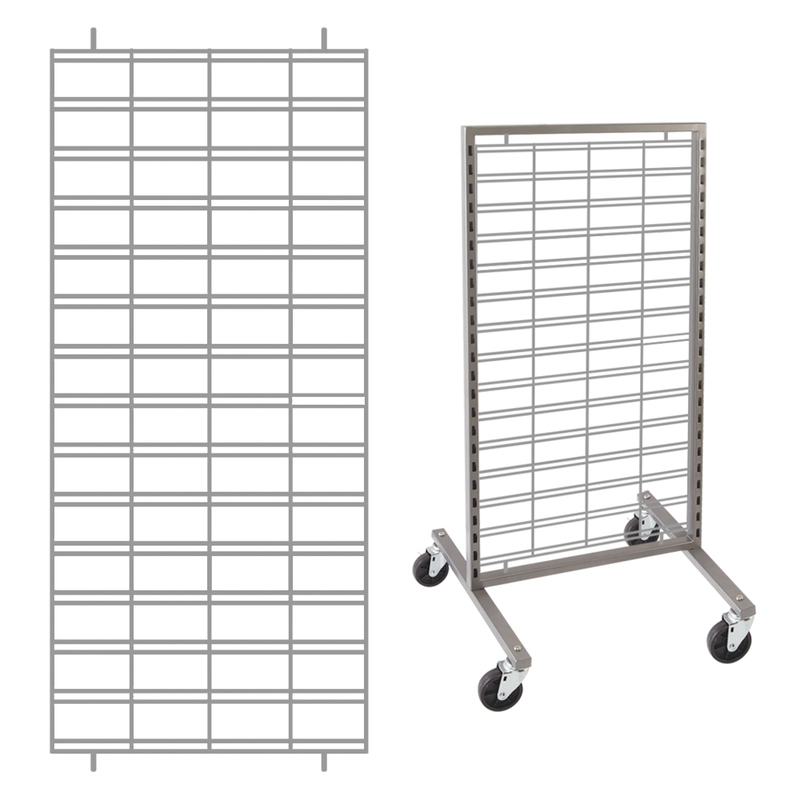 View more slatgrid accessory options. Choose from hangrails, shelves, or our unique acrylic bowls and then add hooks, sign holders or even a mirror from our Di Simo collectionall sold separately.